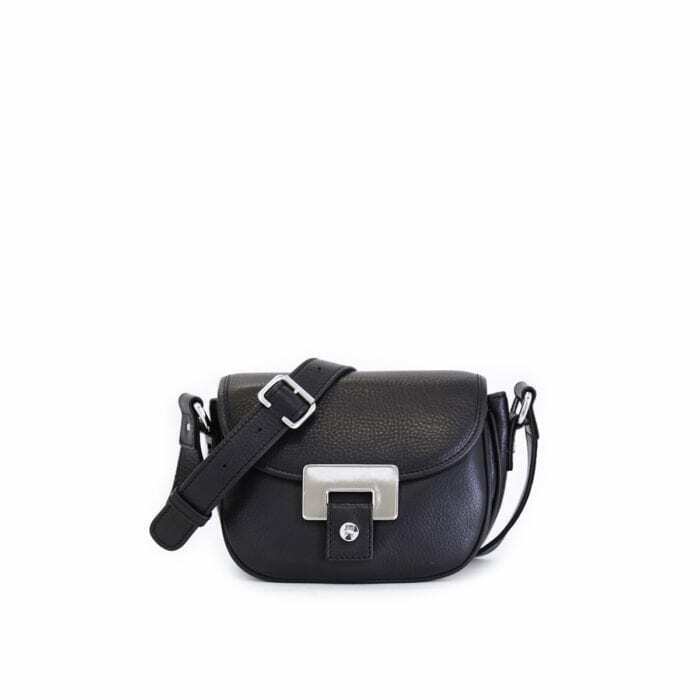 LUMI Olivia Mini Saddler, in classic black, is a great everyday accessory. Olivia is one of LUMI’s timeless modern classics – fitting your phone, keys and other essentials you may need during the day. The bold hardware adds a little attitude to your style, making it the perfect bag for a night out too. It will look great casually with jeans or paired up with you dressier outfits. Olivia Mini Saddler is from LUMI Limited Edition – a specialty line of bags and purses made of soft, luxurious leather, featuring hand-crafted detailing and bold, custom-made hardware.